This is sampling of some of the gifts that the Al-Aqsa Islamic Society has received since the building was the target of a hate crime this past weekend. On Sunday, the Al-Aqsa Islamic Society in Kensington was the target of a hate crime. 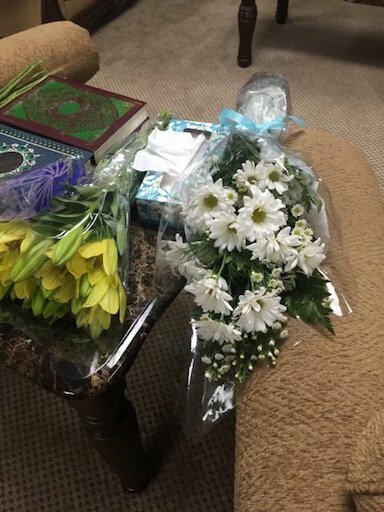 But since then, the mosque at 1501 Germantown Ave., which also houses a school and the city's Arab American Development Corp., has been deluged with an outpouring of support in the form of flowers, cards, and candy, as well as, emails and calls denouncing Sunday's incident. 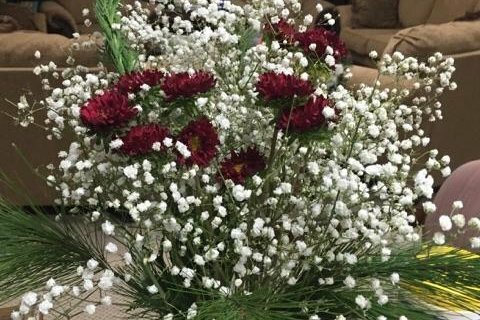 "The Al-Aqsa Islamic Society is being overwhelmed – positively – by gifts of candy, flowers, e-mails, cards and phone calls," said Marwan Kreidie, in an email to PhillyVoice. Kreidie, the executive director of the Arab American Development Corp., said the support has bolstered the spirits of the mosque's congregants after a pig's head was thrown at the building Sunday. "The most common refrain I hear from congregants is that they 'have never felt more proud in being an American and a Philadelphian,'" he said. Since the incident, the city has offered a $2,000 reward for information that could lead to the capture of anyone involved. PETA has since doubled that reward offer. Earlier this week, Mayor Michael Nutter and interfaith leaders from throughout the city gathered at City Hall to condemn the alleged hate crime against the mosque. Also, Kreidie said to thank neighbors for standing with the Islamic community since the incident, the Arab-American Development Corp. and the Al-Aqsa Mosque will host an open house/picnic/barbecue Saturday at 3 p.m.